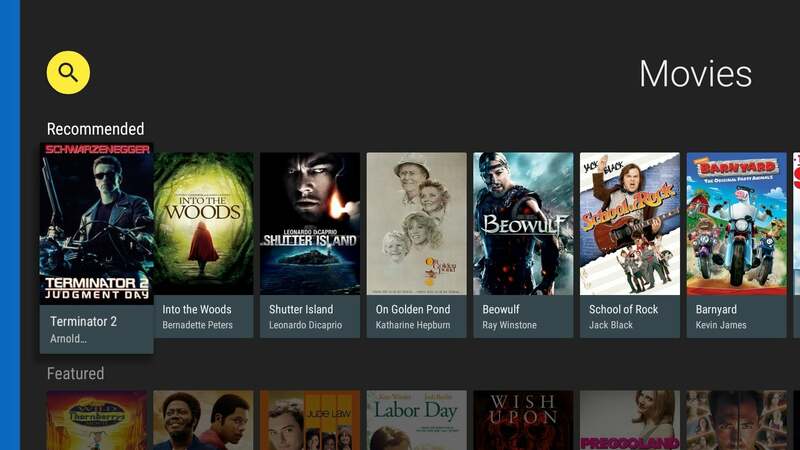 Hoopla and Kanopy offer free movies, TV shows, and documentaries with just a library card. 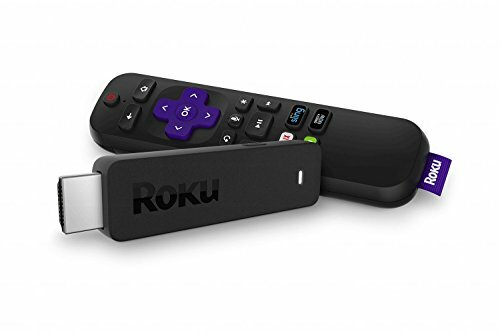 Cord cutters already have plenty of free streaming services to choose from, but nearly all of them come with a heavy dose of advertising. Hoopla Digital and Kanopy are exceptions. Both streaming services work with hundreds of libraries around the United States to provide a trove of ad-free movies, TV shows, and documentaries. Assuming your local library participates, all you need to access this content is a library card. Although Hoopla has been around since 2013, this week the company launched its first native television apps on Apple TV, Amazon Fire TV devices (but not the third-generation model currently), and Android TV devices. Kanopy began working with U.S. public libraries last year, and now offers apps for Apple TV and Roku. To sign up, you need to create a free Hoopla account, specify which library you belong to, and enter your library card number. Some libraries will issue you a temporary card online if you’re not already a member, but chances are you’ll need to stop by the local branch to get an actual card before long. Variety reports that Hoopla works with roughly 7,000 libraries in the United States and Canada; a full list is available here. The number of titles you can borrow per month depends on the library. Variety says some libraries allow just five titles per month, I’m able to borrow a dozen, and Luke Bouma at Cord Cutters News says he’s able to borrow 50 per month. Keep in mind that a single TV episode counts as one title, so binging on a full season can chew through your limit in a hurry. Hoopla’s actual service isn’t perfect. Videos seemed a bit pixelated and overly compressed on both Apple TV and Fire TV, and if you want to browse the full catalog by genre, you need to use Hoopla’s website. (The TV apps only show a limited selection, though you can still watch anything you’ve already borrowed from the broader catalog.) Still, movies and shows loaded quickly and played back without issue. Compared to Hoopla, the Kanopy catalog is decidedly less mainstream and more high-minded. It includes some films from The Criterion Collection (like Federico Fellini’s 8½), and award-winning documentaries (such as The Reagan Show). And instead of just working with public libraries, Kanopy also ties into several university libraries around the United States. Kanopy’s TV apps provide lots of ways to browse the catalog, including a handy “Oscar Winners & Nominees” section, and a separate menu of Subjects that seem tailored toward educators. Kanopy’s website also has a neat “playlists” feature for stringing multiple videos together and creating shorter clips out of larger videos, though sadly this isn’t available on Apple TV or Fire TV. 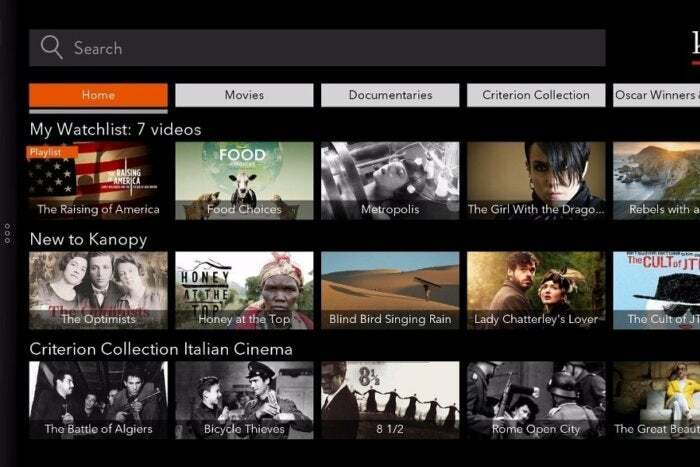 Like other free streaming services, Kanopy and Hoopla are unlikely to replace the need for a paid service like Netflix, or a streaming channel bundle such as Sling TV. Instead, they’re best seen as supplements, providing content that those other services don’t offer, or saving you the money that you might have otherwise spent on a movie rental. They’re worth checking out, especially if you’ve become averse to ads in your video streams.